Wine Stable 1.8.5 is now available with various bug fixes - Wine development has released 1.9.21 with initial version of the HID minidriver, support for lists in the RichEdit control, system tray improvements in October 14, 2016. However, the 1.8.5 is the latest stable so far. Wine stands for Wine is not an emulator. It's an open source software that lets Linux, Mac, FreeBSD, and Solaris users to run Windows applications without a copy of Microsoft Windows. Instead of simulating internal Windows logic like a virtual machine or emulator, Wine translates Windows API calls into POSIX calls on-the-fly, eliminating the performance and memory penalties of other methods and allowing you to cleanly integrate Windows applications into your desktop. For complete list, you can go to WineHQ official website. 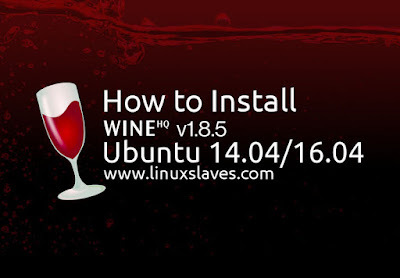 J Fernyhough is maintaining a PPA with latest Wine 1.8 packages for Ubuntu 14.04 and Ubuntu 16.04. The installation is available via PPA. You can follow the step-by-step tutorial below to install it. 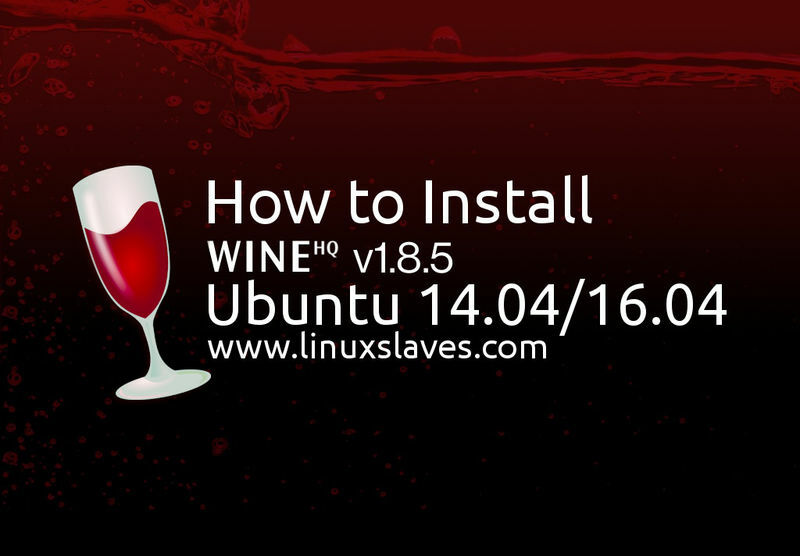 That's all I can write about all you need to do to install latest Wine stable in Ubuntu 14.04 LTS and Ubuntu 16.04. Hope you've enjoyed reading this tutorial as much I’ve enjoyed writing it. Thank you!